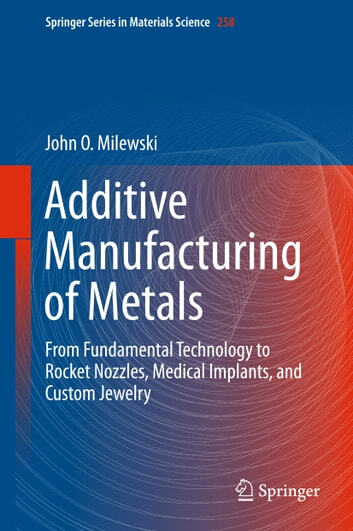 This engaging volume presents the exciting new technology of additive manufacturing (AM) of metal objects for a broad audience of academic and industry researchers, manufacturing professionals, undergraduate and graduate students, hobbyists, and artists. Innovative applications ranging from rocket nozzles to custom jewelry to medical implants illustrate a new world of freedom in design and fabrication, creating objects otherwise not possible by conventional means. 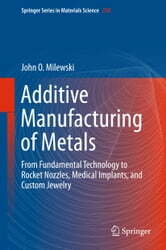 The author describes the various methods and advanced metals used to create high value components, enabling readers to choose which process is best for them. Of particular interest is how harnessing the power of lasers, electron beams, and electric arcs, as directed by advanced computer models, robots, and 3D printing systems, can create otherwise unattainable objects. A timeline depicting the evolution of metalworking, accelerated by the computer and information age, ties AM metal technology to the rapid evolution of global technology trends. Charts, diagrams, and illustrations complement the text to describe the diverse set of technologies brought together in the AM processing of metal. Extensive listing of terms, definitions, and acronyms provides the reader with a quick reference guide to the language of AM metal processing. The book directs the reader to a wealth of internet sites providing further reading and resources, such as vendors and service providers, to jump start those interested in taking the first steps to establishing AM metal capability on whatever scale. The appendix provides hands-on example exercises for those ready to engage in experiential self-directed learning.